Have you got beef with the post-festive fasting? Veganuary got your goat? 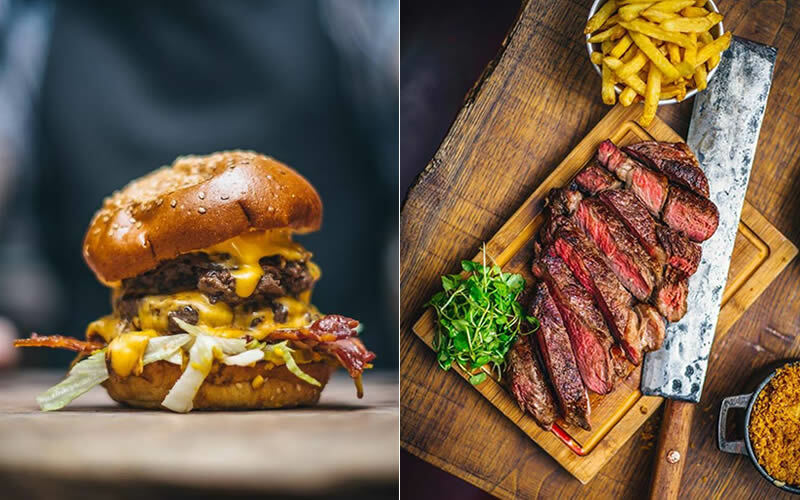 Get your chops round these meaty London restaurants. Who knew Sunday salvation could come in the form of wood-roasted Goan pork or tandoori masala ribeye? This part of London is pretty quiet on the weekend, so it’s nice to have something like Brigadiers’ Indian BBQ Sunday roast to help liven things up again. Of the innumerable steak joints across London, Zelman Meats is up there. 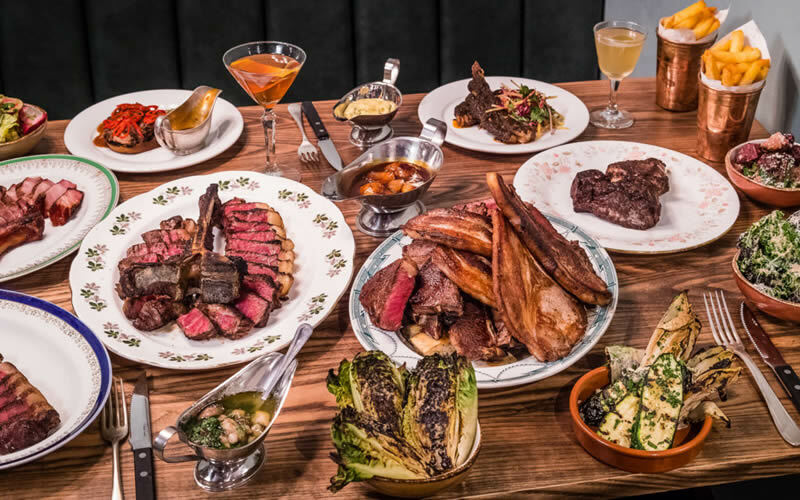 With its short menu, they’re able to focus on doing a few things well – namely some of the most prized cuts from around the world, including Chateaubriand as the French like it and picanha (rump cap) as the Brazilians do. 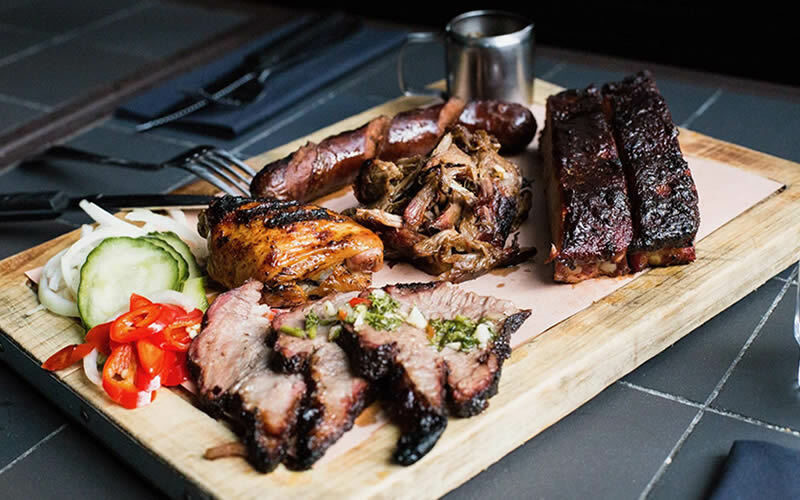 Former smoked and barbequed meat peddlers on the street food scene, it was HotBox’s dedication to good meat that brought them fans and a resulting permanent spot on Commercial Street. A few things were on the menu in those early days – most notably the USDA short rib – and for good reason still remain. Best salt beef bagel in London? It would be dangerous to posit anything other than Brick Lane’s Beigel Bake, so it should mean something that I make this suggestion in full knowledge of the risks. If Monty’s salt beef and mustard bagel doesn’t get your vote, their pastrami sandwich will. A true one stop chop shop, Blacklock’s all about traceability, meat as good as it gets (from the Warrens no less – generally regarded as the UK’s best butchers), and those beef dripping chips. There are three restaurants to choose from now, in Soho, Shoreditch and the City. Ring ring. 2012’s on the phone, asking about meat again. Back then, Flat Iron had the inspired idea of opening a restaurant around a single, though difficult to butcher, steak cut of the same name. It quickly became famous for its lovely round price of £10. 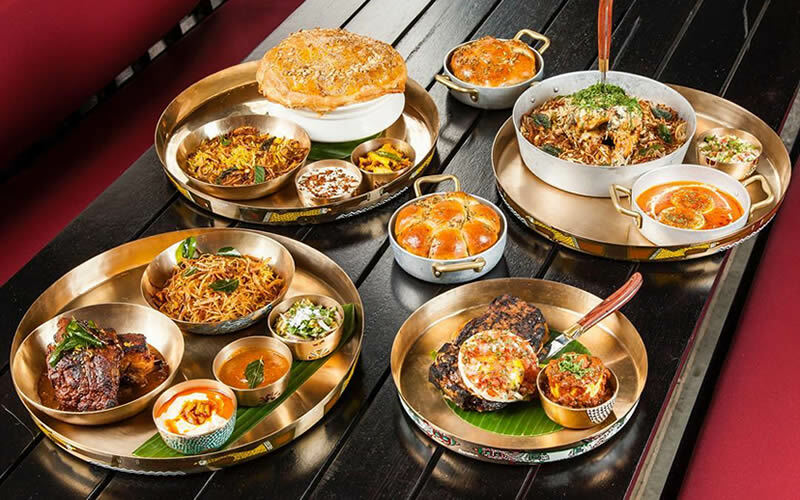 Now a victim of its own success, and owing to inflation, it’s gone up in price – by a whole one pound sterling – and is still one of London’s best bang-for-your-buck dishes. Champions of the Scottish larder (think venison steaks, haggis pops, Highland and Angus cattle), Mac & Wild is transparency in the truest sense of the word. Their Venimoo burger deserves a shout-out of its own. There’s something charming about Flank. It’s British, with a rough round the edges approach to food (taken literally with their double cooked potatoes), but in a contemporary way – it seems there’s still genuinely unique things you can do with an unassuming piece of meat. Their latest opening – a stall in Victoria market Halls – is the most complete iteration of their concept yet. Contrary to others on this list, if the mood allows for some old school nourishment, Simpson’s is your bag. 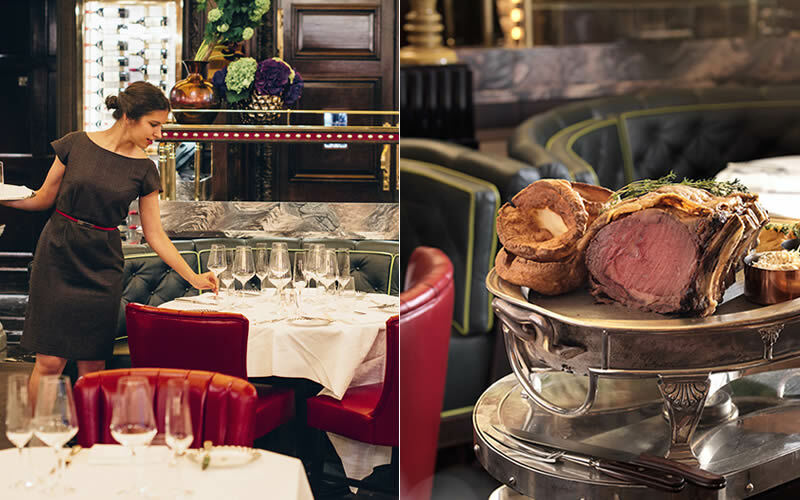 Their dry-aged beef Wellington is bordering on legendary status, while the steak and kidney pie and roast meats carved from the trolley aren’t far behind. As far as meat is concerned, Temper go the whole hog. The restaurant butchers everything on site, sourcing from small local farms around the country and their own appointed boat off the Cornish coast. It’s all cooked over a massive great fire pit – a proper temple to meat, smoke and fatty bits. Early man would approve.